May 12, 2015  Watch the piano sensation play scherzos by Chopin, seasonal pieces by Tchaikovsky and Chinese music in conjunction with the Metropolitan's new exhibit China: Through the Looking Glass. January 24, 2014  Both the band and the piano superstar know a thing or two about shredding. Perhaps these odd bedfellows have more in common than meets the ear. December 22, 2013  The relationship between a teacher and a student can be transformative. And what pianists Gary Graffman and Lang Lang say about that work together resonates far beyond music. January 18, 2013  Fridays are funnier with a classical cartoon at noon, from Deceptive Cadence. December 22, 2008  From the poetic playing of pianist Ingrid Fliter to the high notes (and high drama) of soprano Anna Netrebko, this group of talented musicians represents the next generation of emerging classical artists, most of whom are still in their 20s and 30s. December 12, 2007  To paraphrase an old marketing slogan, "this is not your father's Oldsmobile," these are not your father's classical artists. A new generation of instrumentalists, singers, and conductors has been taking the concert stage by storm, represented in part by these ten standout recordings of 2007. 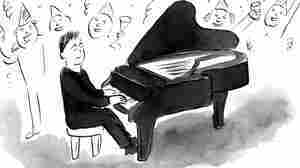 May 8, 2007  Chinese pianist Lang Lang is one of the biggest sensations in classical music. He discovered his love for music as a kid, while watching a cat play the piano in a Tom & Jerry cartoon. Today he releases his first-ever Beethoven recording. June 1, 2006  Chinese pianist Lang Lang takes a dreamy piece by Robert Schumann into Performance Today's Studio. 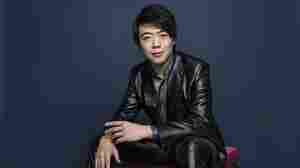 From Schumann's piano suite called "Scenes from Childhood," Lang Lang plays the section called "Dreaming." 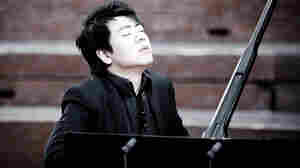 April 12, 2005  Pianist Lang Lang exploded onto the classical music scene when he was only 17. Today, the 22-year-old Chinese native is an international musical star known for his explosive showmanship and extraordinary technical skill. He performs music by Mozart and Liszt in Studio 4A. 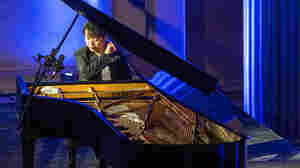 April 21, 2004  NPR's Karen Grigsby Bates talks with 21-year old piano prodigy Lang Lang, a featured performer at the Disney Music Hall in Los Angeles, Calif.
April 24, 2001  NPR's Alex Van Oss reports on Lang Lang, a brilliant young pianist from China. The 18-year-old will make his Carnegie Hall debut this week in a performance with the Baltimore Symphony Orchestra. Some critics already are hailing him as one of the great pianists of our time. May 29, 2012  The most famous classical pianist in the world gives a recital of introspective solo works, live from Carnegie Hall. January 23, 2012  The superstar pianist and a Mongolian children's choir perform traditional songs for the Chinese New Year. 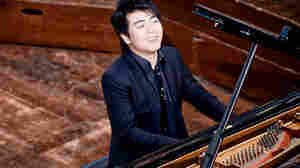 January 24, 2012  Hear the famed pianist and the New York Philharmonic celebrate the Lunar New Year with traditional Chinese music and Liszt's First Piano Concerto. Thanks for joining us. Tonight's concert has concluded. September 10, 2011  About 6000 people will pack Royal Albert Hall for the annual feel-good concert. June 16, 2011  Coming up this season: a midsummer night's dream of good music at festivals from coast to coast. 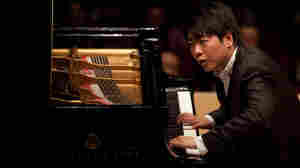 Did Pianist Lang Lang Intend To Snub The U.S.? January 24, 2011  At last week's White House state dinner honoring Chinese President Hu Jintao, classical pianist Lang Lang played the song "My Motherland," which is widely seen in China as anti-American. Host Melissa Block speaks to Lang Lang about the controversy, asking whether he intended to snub the U.S.